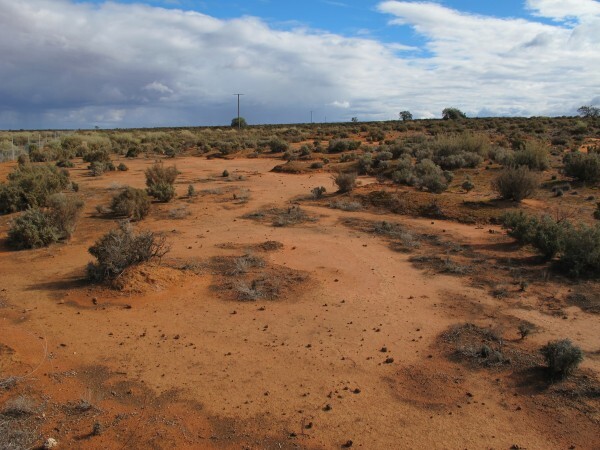 An assessment of Aboriginal cultural heritage was conducted prior to an upgrade of overhead power lines near Cullulleraine, in the Mallee Region of north-western Victoria. Working in collaboration with three Aboriginal Traditional Owner groups, the study involved mapping large quantities of surface artefacts such as stone tools and clay balls and features such as hearths, and interpreting cultural features in relation to the complex landscape of the central Murray River basin. The work led to the documentation of highly significant archaeological sites and the formulation of management recommendations for sites potentially affected by the works. Results of the investigations, including the first age estimates for burnt clay heat retainers in the region using thermoluminescence (TL) dating, and radiocarbon dates from a midden revealing a cultural sequence extending back to the early Holocene, have been published in Excavations, Surveys and Heritage Management in Victoria Vol. 3 (2014). Watson, B. and Anderson, W. 2014. NP13 MBN21 Uprate Lake Cullulleraine: Cultural Heritage Management Plan Number 12615. Report prepared for Powercor Australia Ltd.
Watson, B. and Kucera, P. 2014. Results of recent archaeological investigations along Wallpolla Creek, northwestern Victoria, Australia. Excavations, Surveys and Heritage Management in Victoria 3: 33-42. Watson, B. 2015. Old Mail Road and Wallpolla Creek, north-west Victoria: Archaeological excavation and surface artefact collection at Victorian Aboriginal Heritage Register Places 7229-0069, 7229-0076, 7229-0077 and 7229-0085. Report to Powercor Australia Ltd.